Section 12 of the Social Security Administration’s Listing of Impairments discusses mental disorders. One such mental disorder that falls under the heading is autism. 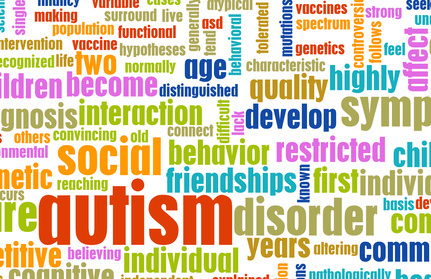 Autism is a neurodevelopmental disorder that affects communication and social interaction skills. According to the National Institutes of Health, autism is thought to exist at birth and is usually recognized by at least three years of age, though earlier diagnoses are possible. Symptoms can present themselves in young children and these including lack of attentiveness, not smiling, laughing, or making noise as much as infants without the disorder. Children with autism also exhibit less eye contact than others and engage in repetitive or limited behavior. Current guidelines indicate that diagnosis of autism is proper when a patient shows at least six symptoms. Two of the symptoms ought to be linked to social interaction impairment, while one must be a communication impairment, and another one must be a restricted or repetitive behavior impairment. Communication impairment signs include a lack of responsiveness or strange gestures. Restrictive behavior can include purposeless movement as well as compulsive behavior such as rearranging objects and needing to control the physical environment. Ritual behavior is also a typical symptom of autism; people often need to do things the same way and at the same time everyday. 3. A restricted repertoire of activities and interests (not needed for Asperger’s syndrome). The SSA says that cognitive and communicative functioning may be measured through the use of age appropriate standardized testing for language development. One such indication of limited cognitive function is an IQ score of 70 or less. Social functioning is defined by Social Security Administration as a person’s ability to form and keep relationships. Personal functioning refers to the development of self-care skills. Examples of these include feeding oneself, personal hygiene, dressing and grooming. Concentration is, somewhat obviously, the ability to focus attention on a task, to stick with it, and to work at a pace that is reasonable for someone of the same age and circumstances. This area is measured both by observing the person and also measured by results obtained from standardized testing. ﻿If you think that you may qualify for Social Security disability benefits, please call me 1-800-296-2290.